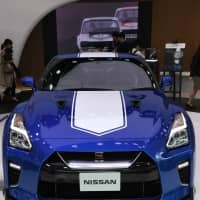 Nissan Motor Co. on Wednesday unveiled the 50th anniversary editions of its GT-R and Fairlady Z flagship sports cars. 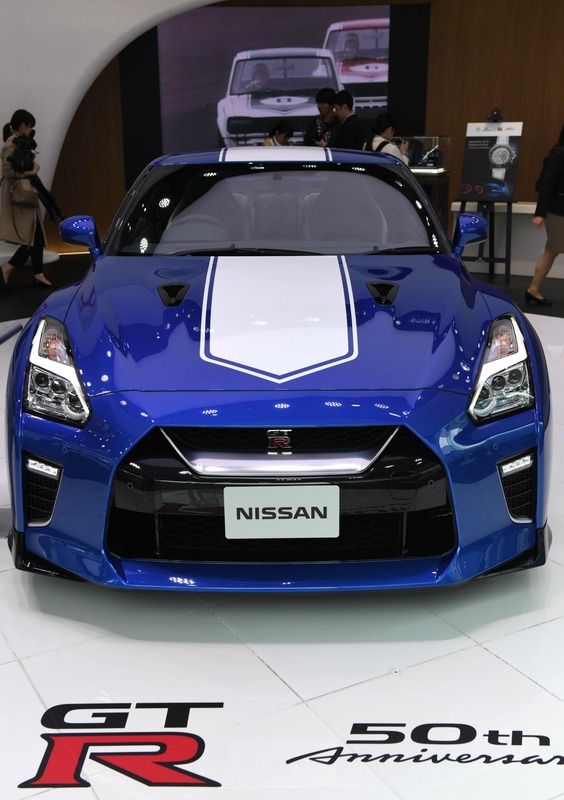 The all-wheel drive GT-R is recognized as one of the fastest commercially available sedans in the world, winning many races inside and outside of Japan, especially in the 1990s and 2000s. The sleek, streamlined Fairlady Z, which was also known abroad as the Datsun Z, was a smash hit in the 1970s and gave Nissan a firm footing in the U.S. market, according to the company. “We feel proud of the GT-R and Fairlady Z for having been some of the best cars in the world. We would like to provide the pleasure of driving and excitement to our customers,” Nissan Senior Vice President Asako Hoshino said at a ceremony in Tokyo. 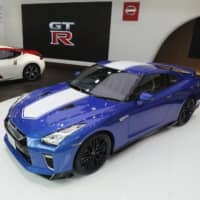 The special-edition GT-R has two-tone exterior color combinations to represent the first-generation model that dominated in domestic races in the 1960s and 1970s, while the Fairlady Z is painted white and red in the same style as an older model that competed in U.S. races in the 1970s. 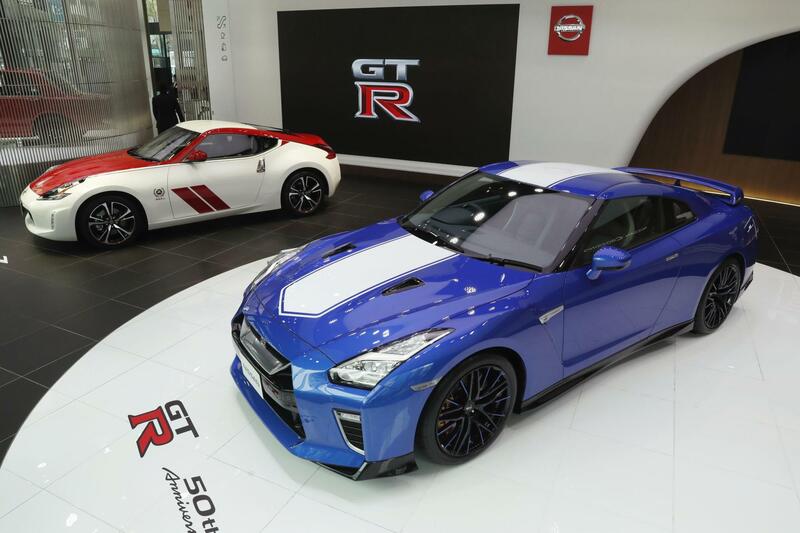 The anniversary GT-R will go on sale from June in Japan, with the price starting at ¥13.2 million ($118,000). Orders will be accepted until next March. The special Fairlady Z will arrive in the domestic market this summer. Nissan said it will also sell both models in overseas markets but has not provided details on release dates and prices. Nissan temporarily suspended production of the GT-R and Fairlady Z in the early 2000s due to stricter emissions regulations, but later resumed production of both models amid the enduring popularity of the cars. The unveiling of the new models comes amid growing pressure on Nissan to improve its corporate image following the arrest of its former boss, Carlos Ghosn, for alleged financial misconduct at the carmaker.